Perfect for: creams, lotions, makeup, brushes, perfume, combs, jewellery and more! Keep all your accessories and cosmetics neat and tidy! 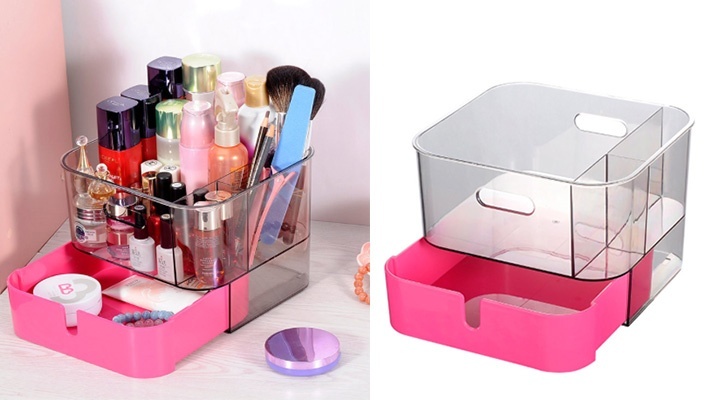 Get this Acrylic Makeup & Jewellery Organizer for only $17.99 instead of $36.